Shannon Larsuel is a high school senior at Mayfield Senior School in Pasadena California. 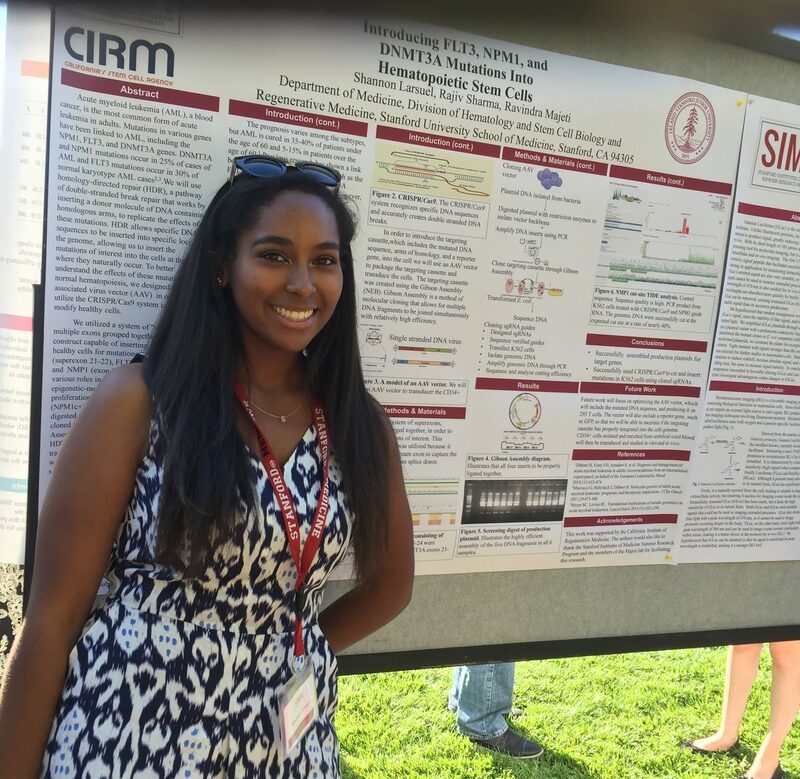 Last summer, she participated in Stanford’s CIRM SPARK high school internship program and did stem cell research in a lab that studies leukemia, a type of blood cancer. Shannon is passionate about helping people through research and medicine and wants to become a pediatric oncologist. She is also dedicated to inspiring young girls to pursue STEM (Science, Technology, Engineering, and Mathematics) careers through a group called the Stem Sisterhood. I spoke with Shannon to learn more about her involvement in the Stem Sisterhood and her experience in the CIRM SPARK program. Her interview is below. 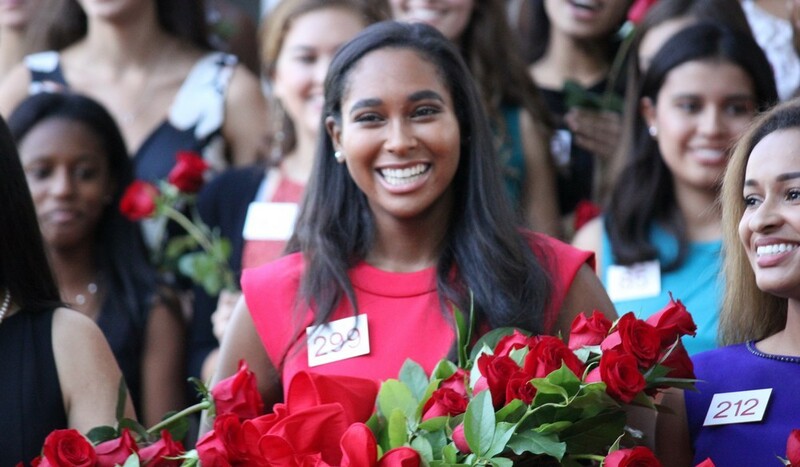 Q: What is the Stem Sisterhood and how did you get involved? SL: The Stem Sisterhood is a blog. But for me, it’s more than a blog. It’s a collective of women and scientists that are working to inspire other young scientists who are girls to get involved in the STEM field. I think it’s a wonderful idea because girls are underrepresented in STEM fields, and I think that this needs to change. I got involved in the Stem Sisterhood because my friend Bridget Garrity is the founder. This past summer when I was at Stanford, I saw that she was doing research at Caltech. I reconnected with her and we started talking about our summer experiences working in labs. Then she asked me if I wanted to be involved in the Stem Sisterhood and be one of the faces on her website. 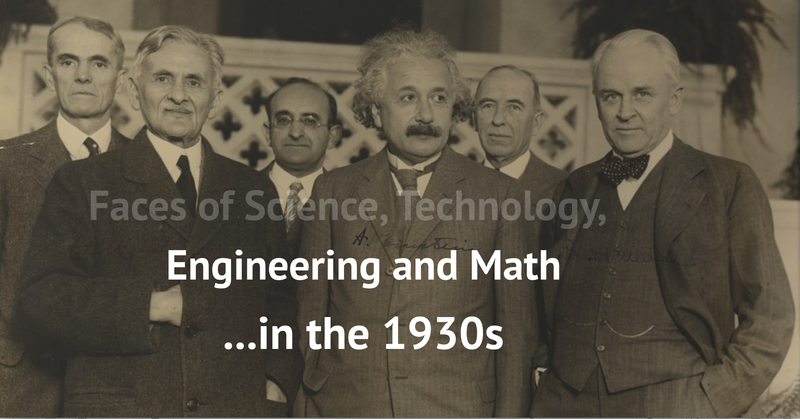 She took an archival photo of Albert Einstein with a group of other scientists that’s on display at Caltech and recreated it with a bunch of young women who were involved in the STEM field. So I said yes to being in the photo, and I’m also in the midst of writing a blog post about my experience at Stanford in the SPARK program. Q: What does the Stem Sisterhood do? SL: Members of the team go to elementary schools and girl scout troop events and speak about science and STEM to the young girls. The goal is to inspire them to become interested in science and to teach them about different aspects of science that maybe are not that well known. The Stem Sisterhood is based in Los Angeles. The founder Bridget wants to expand the group, but so far, she has only done local events because she is a senior in high school. 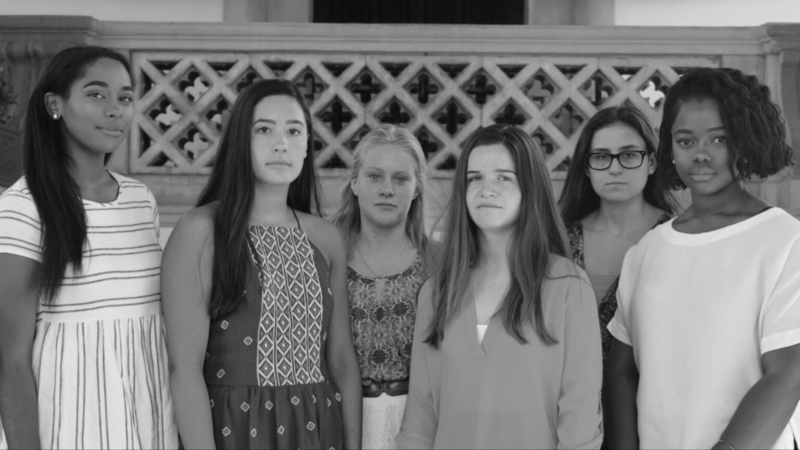 The Stem Sisterhood has an Instagram account in addition to their blog. The blog is really interesting and features interviews with women who are in science and STEM careers. Q: How has the Stem Sisterhood impacted your life? SL: It has inspired me to reach out to younger girls more about science. It’s something that I am passionate about, and I’d like to pursue a career in the medical field. This group has given me an outlet to share that passion with others and to hopefully change the face of the STEM world. Q: How did you find out about the CIRM SPARK program? SL: I knew I wanted to do a science program over the summer, but I wasn’t sure what type. I didn’t know if I wanted to do research or be in a hospital. I googled science programs for high school seniors, and I saw the one at Stanford University. It looked interesting and Stanford is obviously a great institution. Coming from LA, I was nervous that I wouldn’t be able to get in because the program had said it was mostly directed towards students living in the Bay Area. But I got in and I was thrilled. So that’s basically how I heard about it, because I googled and found it. Q: What was your SPARK experience like? SL: My program was incredible. I was a little bit nervous and scared going into it because I was the only high school student in my lab. As a high school junior going into senior year, I was worried about being the youngest, and I knew the least about the material that everyone in the lab was researching. But my fears were quickly put aside when I got to the lab. Everyone was kind and helpful, and they were always willing to answer my questions. Overall it was really amazing to have my first lab experience be at Stanford doing research that’s going to potentially change the world. 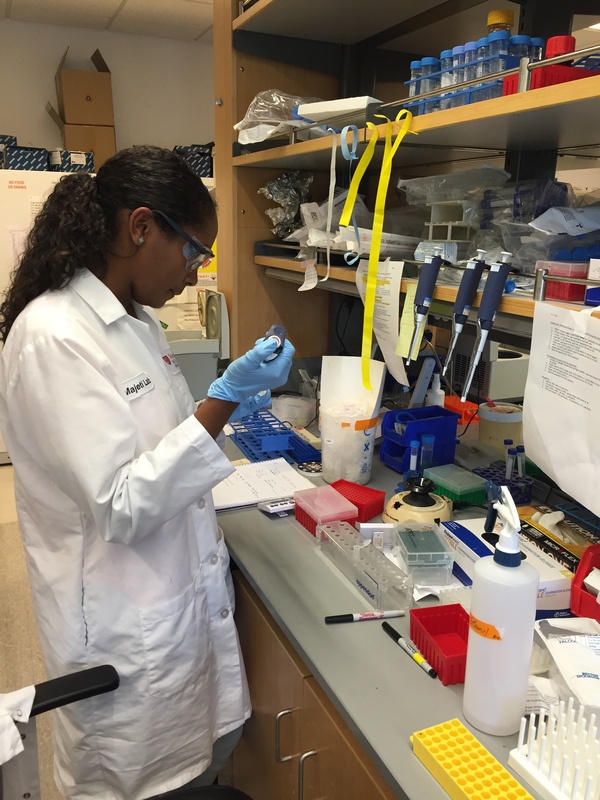 Shannon working in the lab at Stanford. I was in a lab that was using stem cells to characterize a type of leukemia. The lab is hoping to study leukemia in vitro and in vivo and potentially create different treatments and cures from this research. It was so cool knowing that I was doing research that was potentially helping to save lives. I also learned how to work with stem cells which was really exciting. Stem cells are a new advancement in the science world, so being able to work with them was incredible to me. So many students will never have that opportunity, and being only 17 at the time, it was amazing that I was working with actual stem cells. I also liked that the Stanford SPARK program allowed me to see other aspects of the medical world. We did outreach programs in the Stanford community and helped out at the blood drive where we recruited people for the bone marrow registry. I never really knew anything about the registry, but after learning about it, it really interested me. I actually signed up for it when I turned 18. We also met with patients and their families and heard their stories about how stem cell transplants changed their lives. That was so inspiring to me. Going into the program, I was pretty sure I wanted to be a pediatric oncologist, but after the program, I knew for sure that’s what I wanted to do. I never thought about the research side of pediatric oncology, I only thought about the treatment of patients. So the SPARK program showed me what laboratory research is like, and now that’s something I want to incorporate into my career as a pediatric oncologist. I learned so much in such a short time period. Through SPARK, I was also able to connect with so many incredible, inspired young people. The students in my program and I still have a group chat, and we text each other about college and what’s new with our lives. It’s nice knowing that there are so many great people out there who share my interests and who are going to change the world. Q: What was your favorite part of the SPARK program? SL: Being in the lab every day was really incredible to me. It was my first research experience and I was in charge of a semi-independent project where I would do bacterial transformations on my own and run the gels. It was cool that I could do these experiments on my own. I also really loved the end of the summer poster session where all the students from the different SPARK programs came together to present their research. 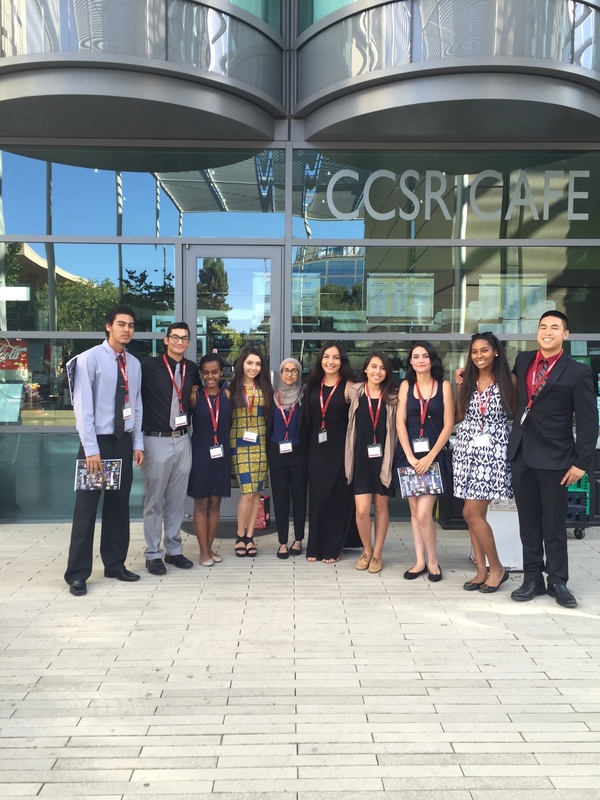 Being in the Stanford program, I only knew the Stanford students, but there were so many other awesome projects that the other SPARK students were doing. I really enjoyed being able to connect with those students as well and learn about their projects. Q: Why do you want to pursue pediatric oncology? SL: I’ve always been interested in the medical field but I’ve had a couple of experiences that really inspired me to become a doctor. My friend has a charity that raises money for Children’s Hospital Los Angeles. Every year, we deliver toys to the hospital. The first year I participated, we went to the hospital’s oncology unit and something about it stuck with me. There was one little boy who was getting his chemotherapy treatment. He was probably two years old and he really inspired to create more effective treatments for him and other children. I also participated in the STEAM Inquiry program at my high school, where I spent two years reading tons of peer reviewed research on immunotherapy for pediatric cancer. Immunotherapy is something that really interests me. It makes sense that since cancer is usually caused by your body’s own mutations, we should be able to use the body’s immune system that normally regulates this to try and cure cancer. This program really inspired me to go into this field to learn more about how we can really tailor the immune system to fight cancer. Q: What advice do you have for young girls interested in STEM. SL: My advice is don’t be afraid. I think that sometimes girls are expected to be interested in less intellectual careers. This perception can strike fear into girls and make them think “I won’t be good enough. I’m not smart enough for this.” This kind of thinking is not good at all. So I would say don’t be afraid and be willing to put yourself out there. I know for me, sometimes it’s scary to try something and know you could fail. But that’s the best way to learn. Girls need to know that they are capable of doing anything and if they just try, they will be surprised with what they can do.